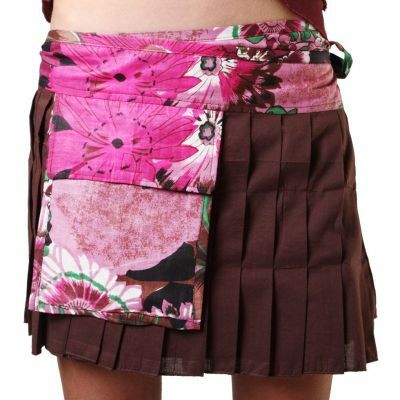 Wraparound skirt with a side-pocket. It can be worn also over trousers. Skirt length: 32 cm. 100% cotton. Made in India.